90 Day Fiance star Eric Rosenbrook did an Instagram Live session in which he confirmed that the leaked text messages from Sunday were real, text messages that described an incident in which his wife Leida grabbed a knife and tried to harm herself before Eric took it away, picked her up by her hair, and then restrained her against the wall. He also confirms that police were called and a report was filed before Leida was taken to a local hospital for evaluation. 90 Day Fiance Season 6 is no longer airing new episodes, but the cast's over-the-top drama continues on social media. 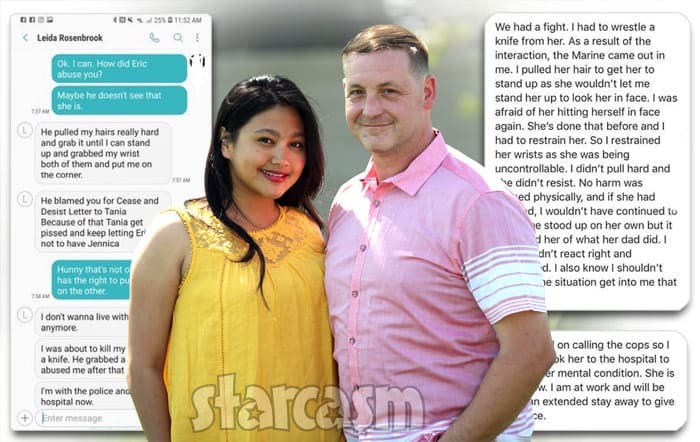 In a series of "leaked" text messages allegedly between Leida Rosenbrook and another person, Leida claims that she was "about to kill my self with a knife" before husband Eric Rosenbrook "grabbed a knife and abused me after that." Meanwhile, in a separate text exchange, Eric allegedly explained that he had to "wrestle a knife from her" and then he "pulled her hair to get her to stand up" and "restrained her wrists as she was being uncontrollable." The 90 Day Fiance franchise may be the single largest meme-generating machine in all of reality television right now, and this week's episode was no exception! For fans like me, it's just as fun (if not more) to see all the creative and hilarious reactions to the episodes as it is to actually watch the episodes themselves. With that in mind, I thought I might take a creative approach to the usual episodic "recap" by gathering together what I believe to be the most meme-worthy moments from Sunday night's episode -- which is no easy task given that there were SOOO many! 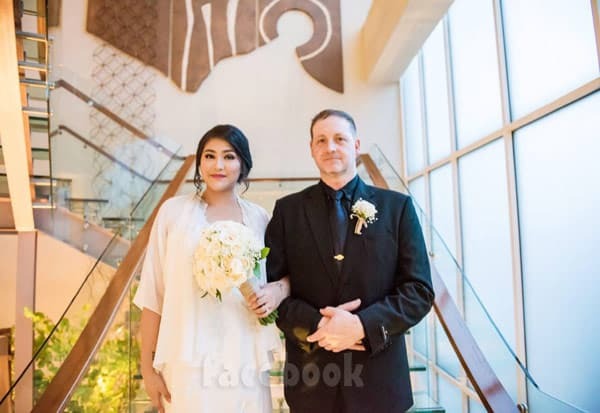 90 Day Fiance star Eric Rosenbrook has responded to our post from September featuring photos of what looks to have been a wedding ceremony with him and Leida in Jakarta, Indonesia in November of 2017. Despite Eric and Leida stating online that they were married on that date, Eric is now saying it was just a commitment ceremony. 90 Day Fiance star Eric, his Indonesian fiancée Leida, and her 5-year-old son Allesandro are having some difficulty adjusting to life in the United States -- due in large part to the fact that they all share a small apartment with Eric's untidy 20-year-old daughter Tasha. Leida has demanded that Eric kick Tasha out, but Tasha has just revealed that it was her apartment first, and she only invited her dad to move in because he was homeless and living in his car!